The Wallenberg Centres for Molecular Medicine are key elements in a national effort to reposition Sweden as a world-leading life science nation. 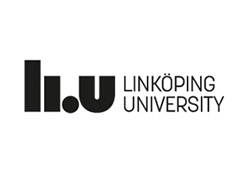 The initiative was taken by the Knut and Alice Wallenberg Foundation, and is a joint venture with the Universities and University Hospitals of Gothenburg, Lund, Umeå and Linköping. SciLifeLab in Stockholm and Uppsala serves as a research partner and unique core facility for the four Centres. Through repeated calls in the upcoming years with tenure track research positions – Wallenberg Molecular Medicine Fellows – we will recruit translationally oriented research groups. The groups will be centered on internationally recruited young scientists of outstanding potential and funded at a globally competitive level through very generous starting packages with the possibility of promotion to Senior Lecturer within four years. Each of these groups will synergize with pre-existing excellent research environments as well as strong clinical collaborators, promoting ground-breaking research in molecular and translational medicine. Together, we will rise to future challenges within molecular life science in order to improve human health. Find out more about ongoing recruitments at each center’s website below. With a medicine-technology interface and extending from a biomedical engineering profile, onwards to basic biomedical and clinical research, we plan to recruit a number of tenure track faculty members, at the level of Assistant/Associate Professor. The successful candidates will be expected to develop a dynamic, extramurally funded, internationally recognized research program, and to integrate with existing strengths in medical technology, materials science and bioengineering. 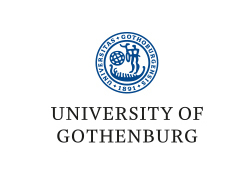 The scope of the Centre in Gothenburg is molecular medicine aspects of metabolic and degenerative diseases, neuroscience, inflammation and cancer. Successful candidates will become part of strong research environments with excellent infrastructure and enjoy close collaboration with AstraZeneca and clinical/translational research platforms at one of the largest University hospitals in northern Europe. Please visit our website for more information about our research and upcoming calls during 2018. 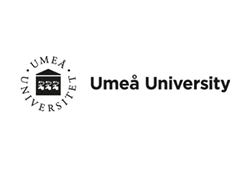 The Centre in Umeå focuses on molecular medicine research on cancer, metabolic diseases including diabetes, neuroscience and infection biology. The successful candidates will work in strong research environments and have access to excellent research infrastructures including unique collections of longitudinal samples in existing biobanks. Please visit our site for more information on WCMM at Umeå University and upcoming calls 2017/2018. 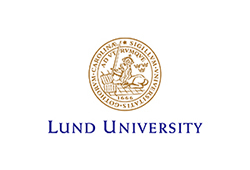 The scope of the Centre in Lund is within the area Regenerative Medicine (Regeneration, Replacement, and Repair). On the level of Associate Senior Lecturer (Assistant Professor), we are now seeking one young scientist for a tenure track position in: Molecular Medicine with emphasis on Regenerative Medicine. Successful candidates will work in a translational environment, including clinical scientists from Skåne University Hospital, and have access to cut­ting-edge molecular biology and imaging facilities at one of the largest Universities in Scandinavia. The positions are open for application until March 4 2019. For open PhD and Postdoc positions, see respective wcmm center’s website. The Wallenberg Centres for Molecular Medicine is supported by Knut and Alice Wallenbergs Stiftelse.